Don’t skip important maintenance or endure unnecessary downtime – losing productivity. 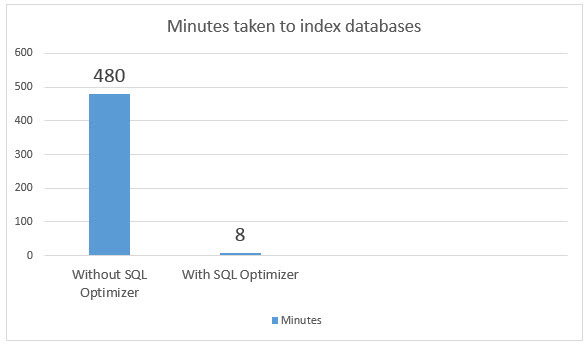 SQL Optimizer works fast to save you hours & no down time. Crestwood Associates knows how important it is to maintain your databases, and even more important are those indexes, so you keep up your speed. However, rebuilding indexes during maintenance often takes too long; therefore, people have to wait, you scheduling them sparingly, or skip rebuilding them completely. So, rather than rebuilding ALL indexes, all the time, SQL Optimizer reviews and only reorganizes or rebuilds what is necessary. It’s simple, it works, and it keeps your database running fast.